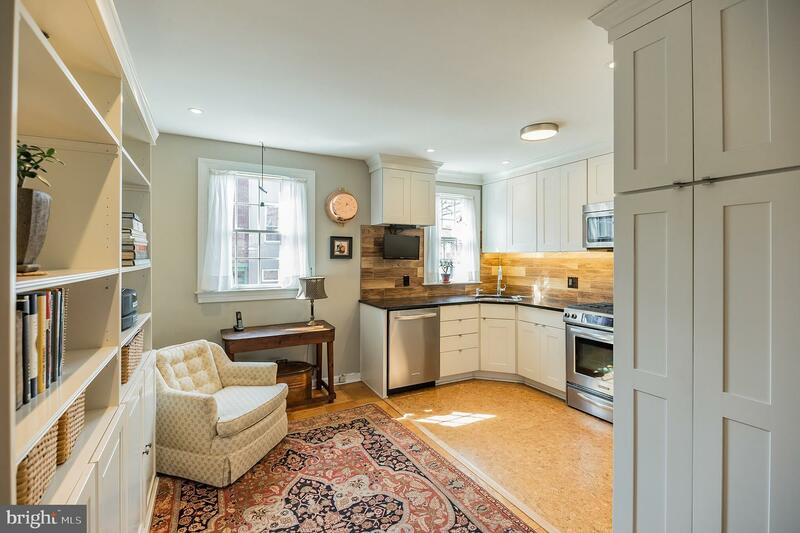 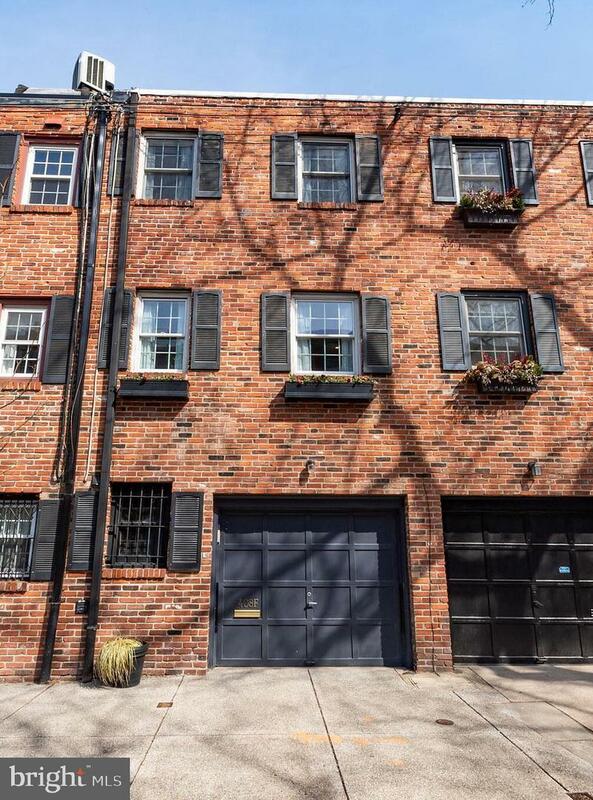 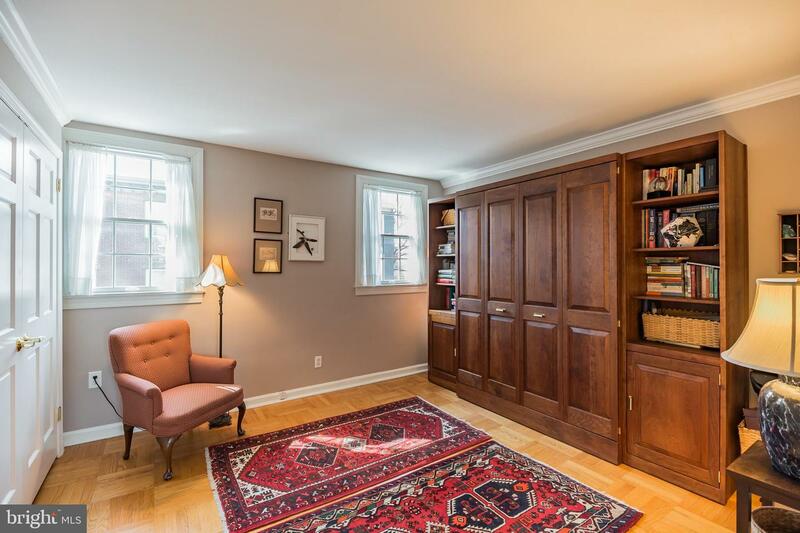 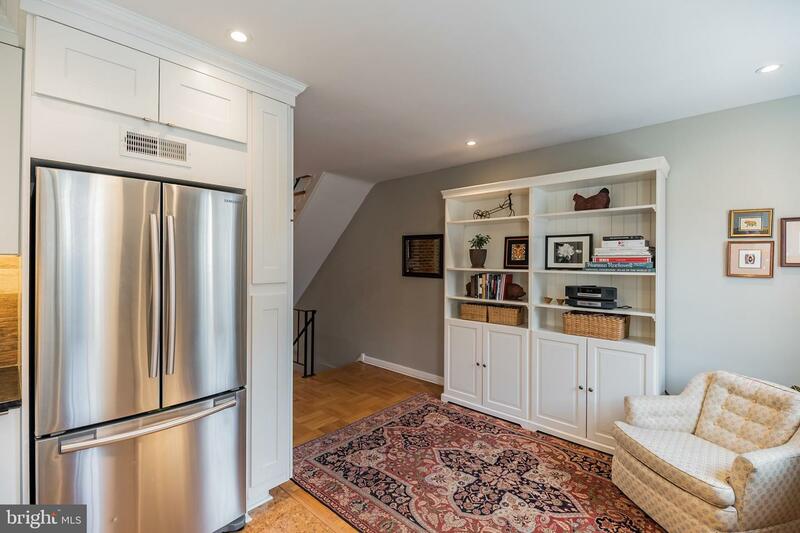 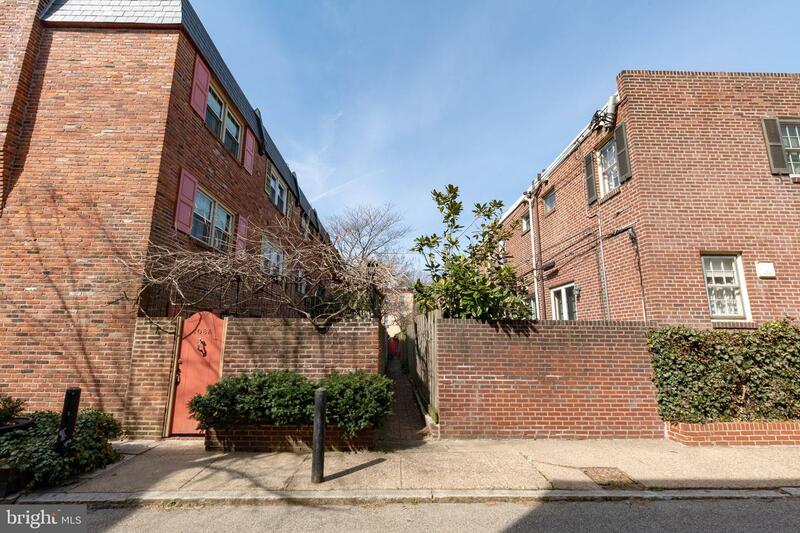 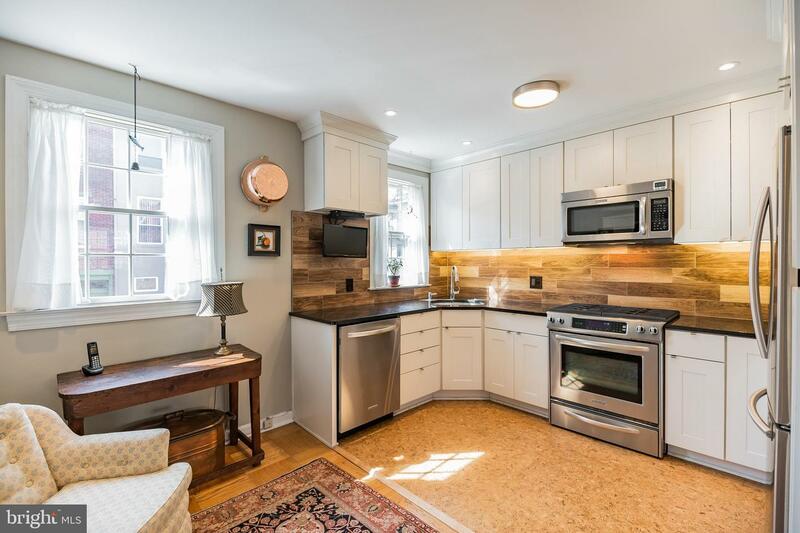 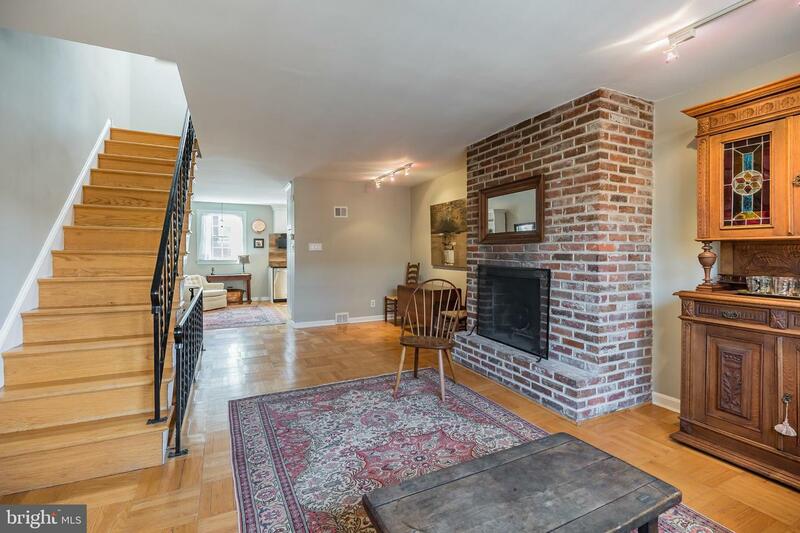 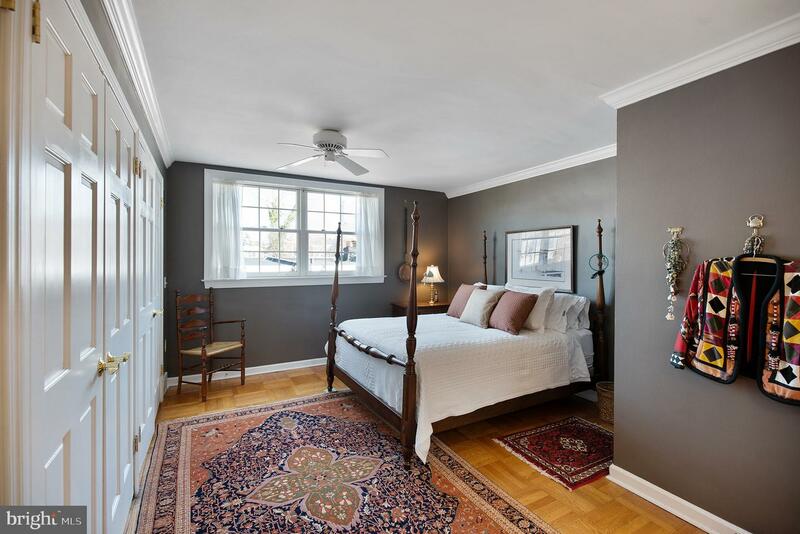 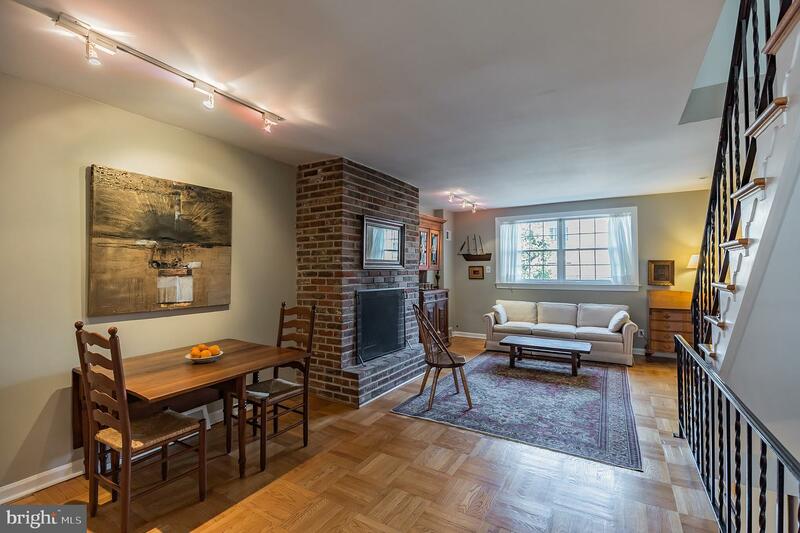 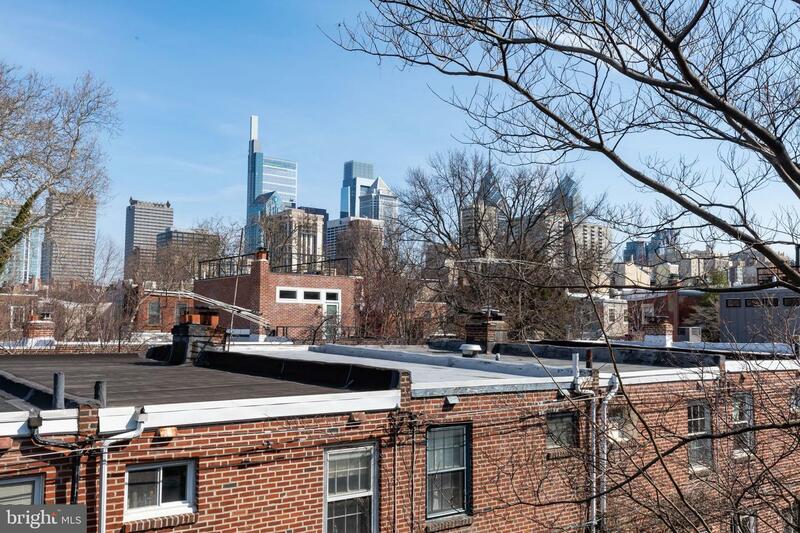 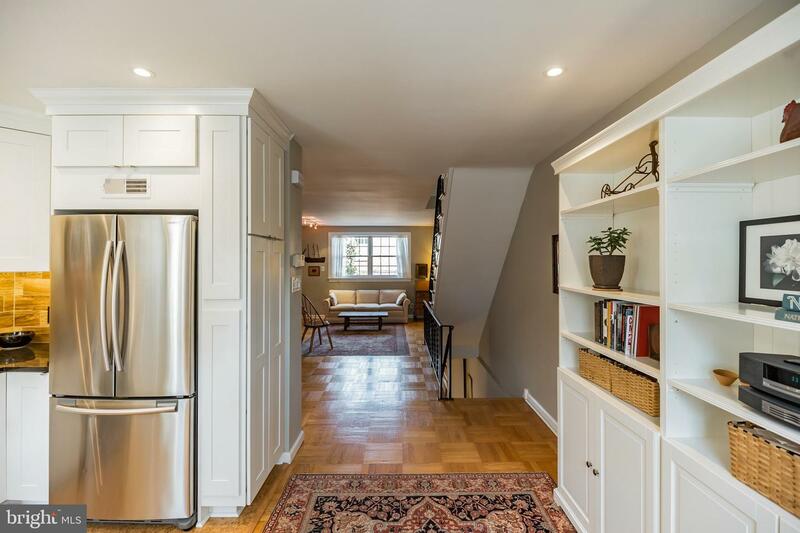 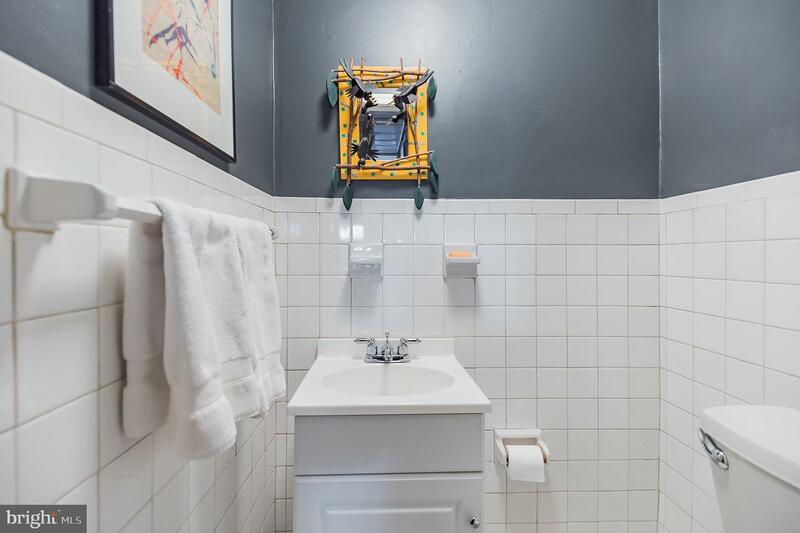 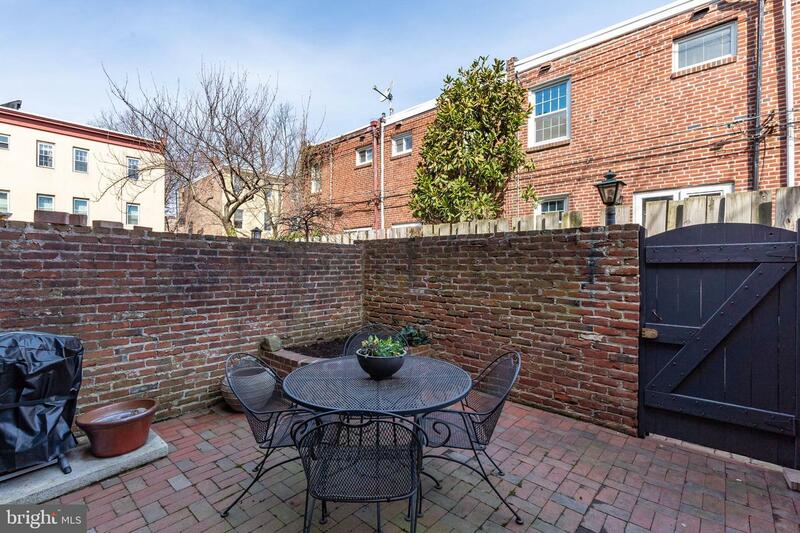 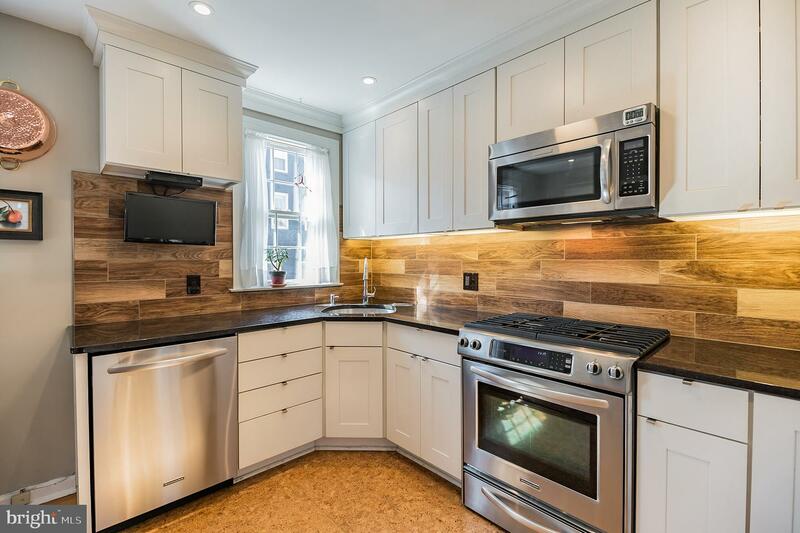 Unusual opportunity to live close to Fitler Square, walking distance to Rittenhouse Square and University of Pennsylvania, Drexel, HUP, CHOP and have a renovated home with a GARAGE and a PRIVATE GARDEN. 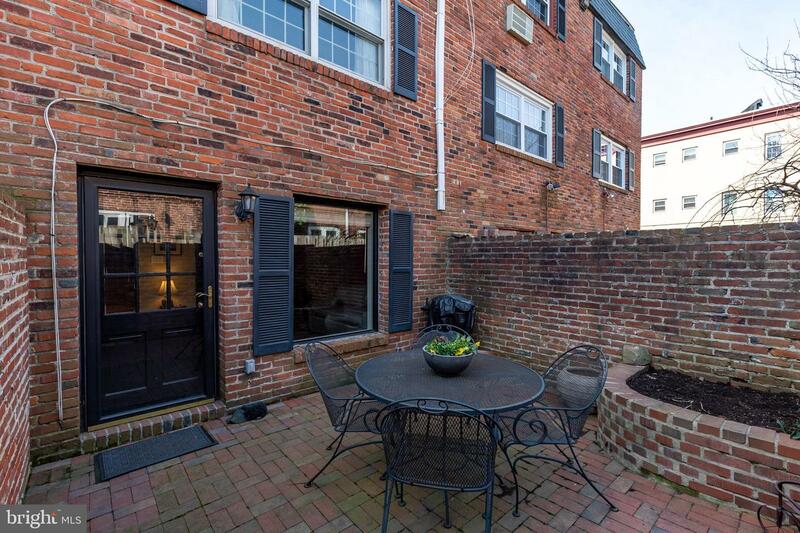 Enter walkway off of Croskey Street to bricked patio. 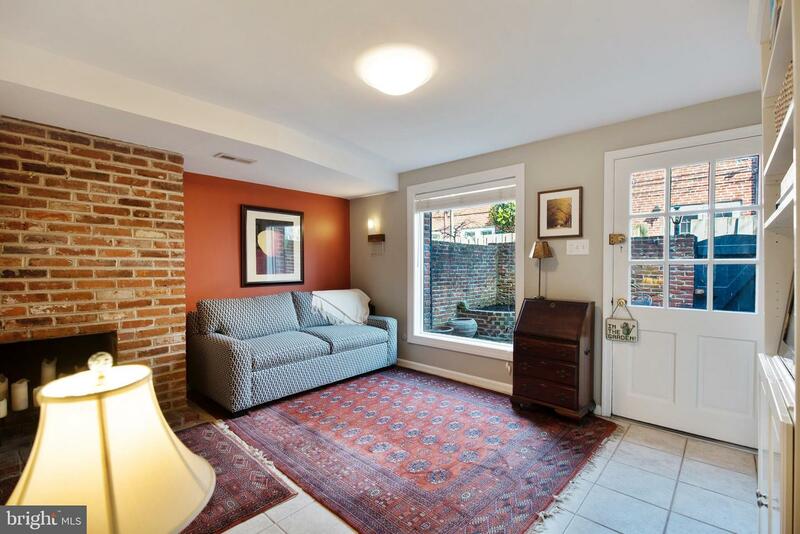 This 2 bedroom plus DEN features central air, hardwood floors and 2 wood-burning fireplaces. 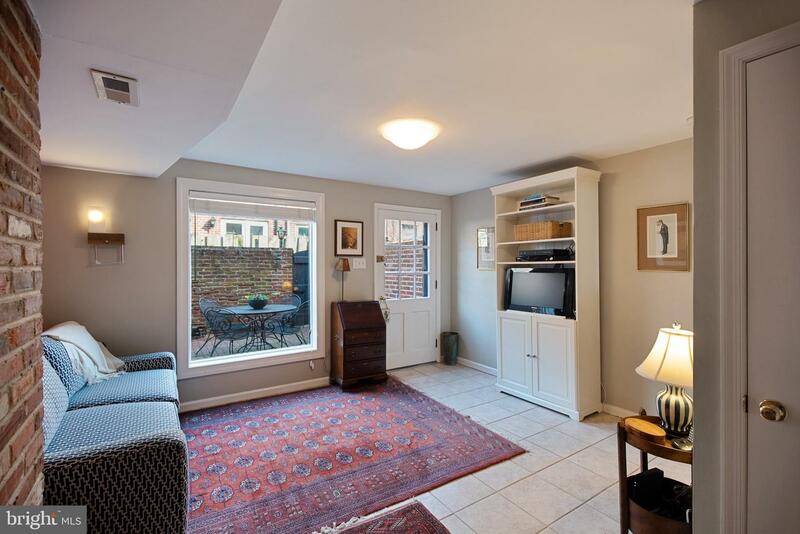 1st Floor: den/office space with tile floors, brick fireplace, garden views, powder room and entrance to garage with full-sized washer/dryer, terrific storage and room for bikes and gardening and sporting equipment. 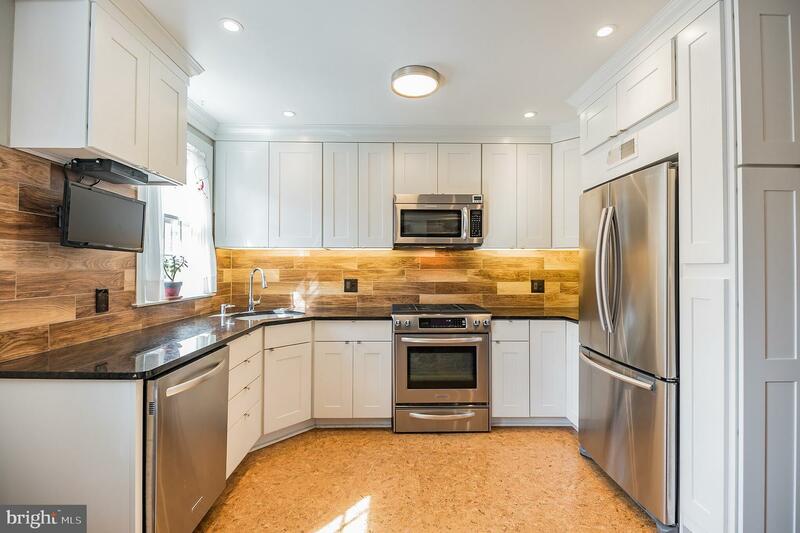 2nd Floor: NEW white kitchen with Stainless appliances, granite countertops, dining area, and spacious living/dining room combination with fireplace and wood floors. 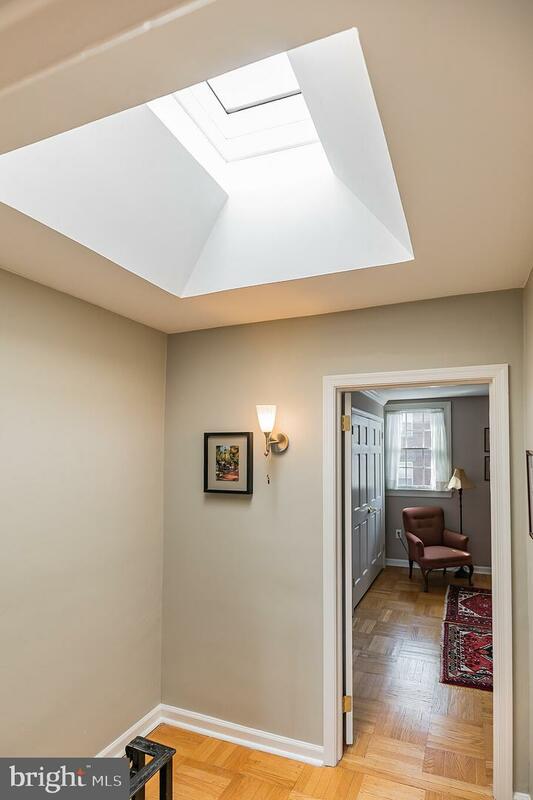 Newer windows facing North and South - great cross ventilation. 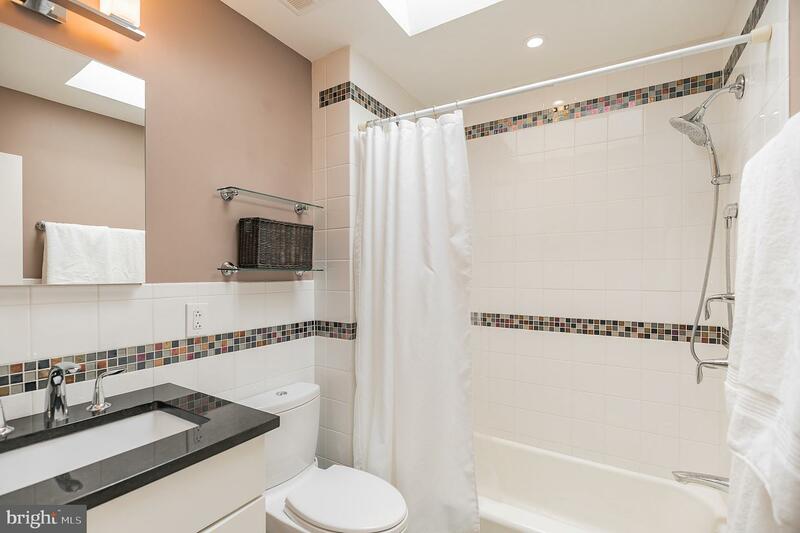 3rd Floor: Newer full bath with skylight, two bedrooms each with customized California Closet brand closet systems. 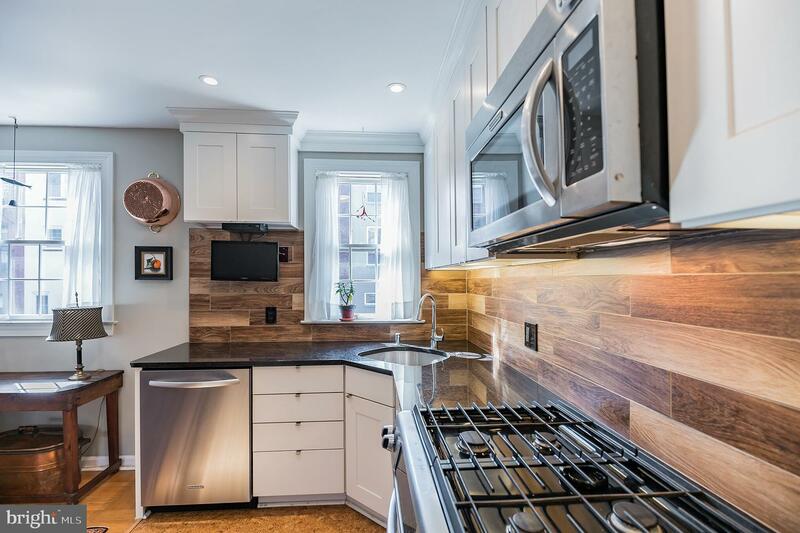 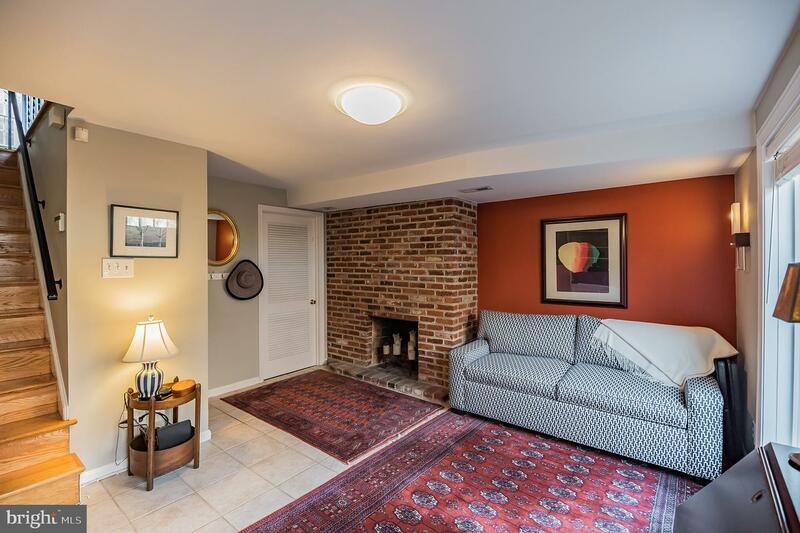 This home is located in the Greenfield Elementary School Catchment with easy access to museums, restaurants, retail shopping and South Square market.